The Athena out performed all other ionizers in independent US EPA certified lab tests. Click here to view the certified test results. Read the no-nonsense information below and you will understand specifically why our Athena represents the absolute zenith of performance, features, functionality and styling available in water ionization technology today - All backed by the dependability and certainty of Emco Tech - the world leader in ionization since 1982. 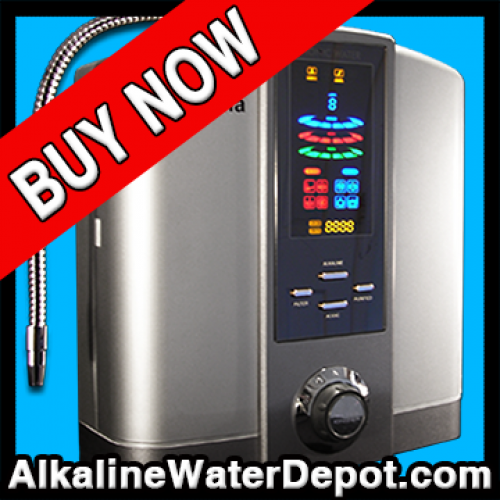 You want two things from an ionizer: clean and healthy water. To understand the techno-logical advancements you'll find in the Athena, which create its outstanding performance, you should read the basics of how an ionizer works. Other considerations in performance are durability, or how long the unit will perform, and functionality. 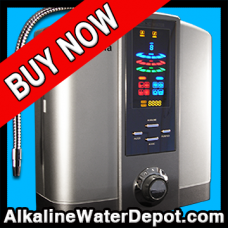 An ionizer is an investment. You will want your investment to last. The electrodes are the crucial component in your ionizer. All other units on the market clean by a simple reverse polarity - which still allows some scale buildup. The Athena offers the patented new DARC (Double Automatic Reverse Cleaning) system. This new system will completely eliminate the mineral scaling from on the electrodes ensuring you will have many long years of healthy water. With other ionizers, you have to wait during a reverse polarity cleanse to use the ionizer. The DARC system cleans as you ionize - so you never have to wait for a cleaning cycle to complete. You never have to give cleaning a thought! You will also want your ionizer company to be around to take care of your needs many years after you make the purchase. This point cannot be emphasized enough; in the last three years alone approximately 8 manufacturers have come and gone in the market place. With Emco Tech you buy with absolute certainty that your company will be around to support you - long after some of the other companies have left you high and dry. Their combined 25+ years of experience and track record is unmatched. Period. This beautiful manual is a fantastic tool.